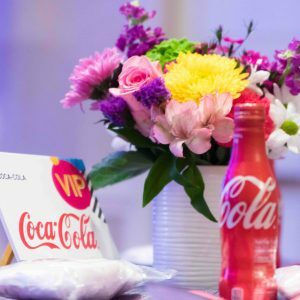 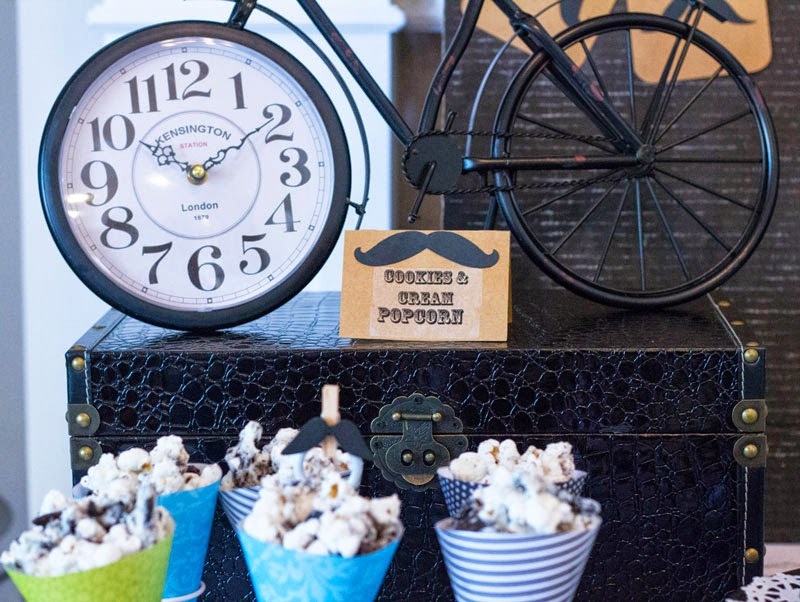 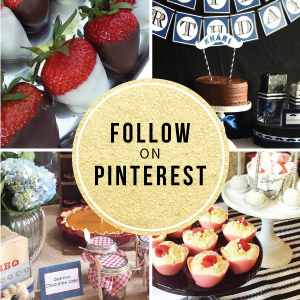 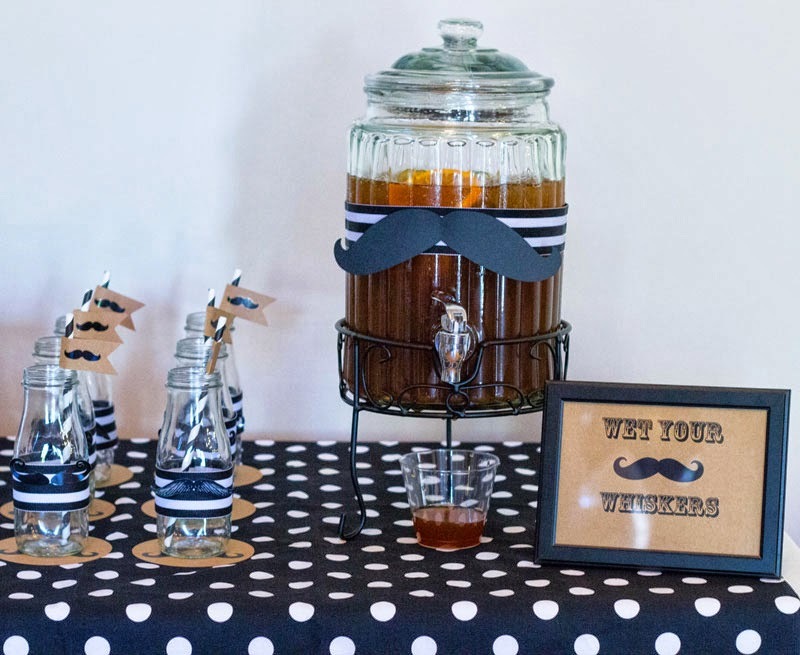 Whether you love or don’t truly get the mustache craze, there are a lot of great ideas and fun ways to incorporate mustaches into not only parties and events, but everyday life. 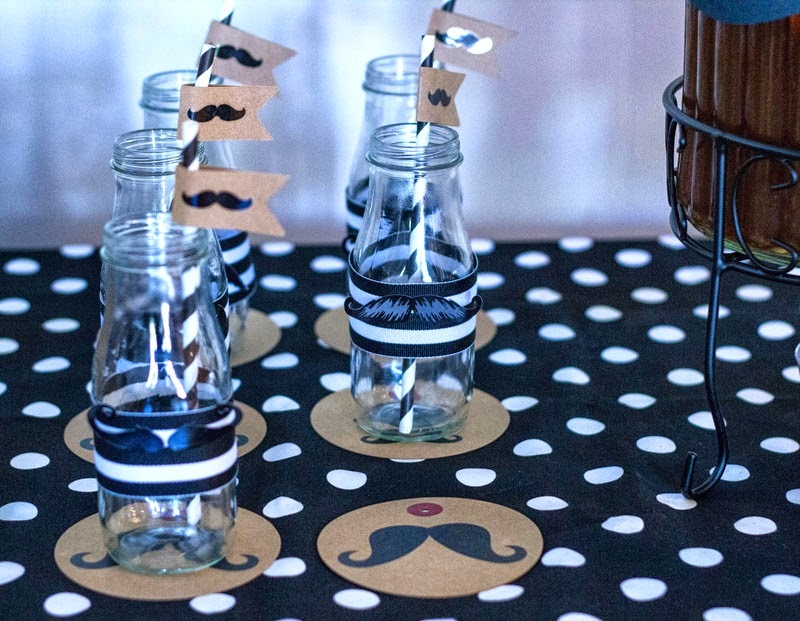 If you are planning a party, you can incorporate the mustache into different themes such as father’s day, little man first birthday, his and hers valentines party, wine and cheese gathering or a dinner party. 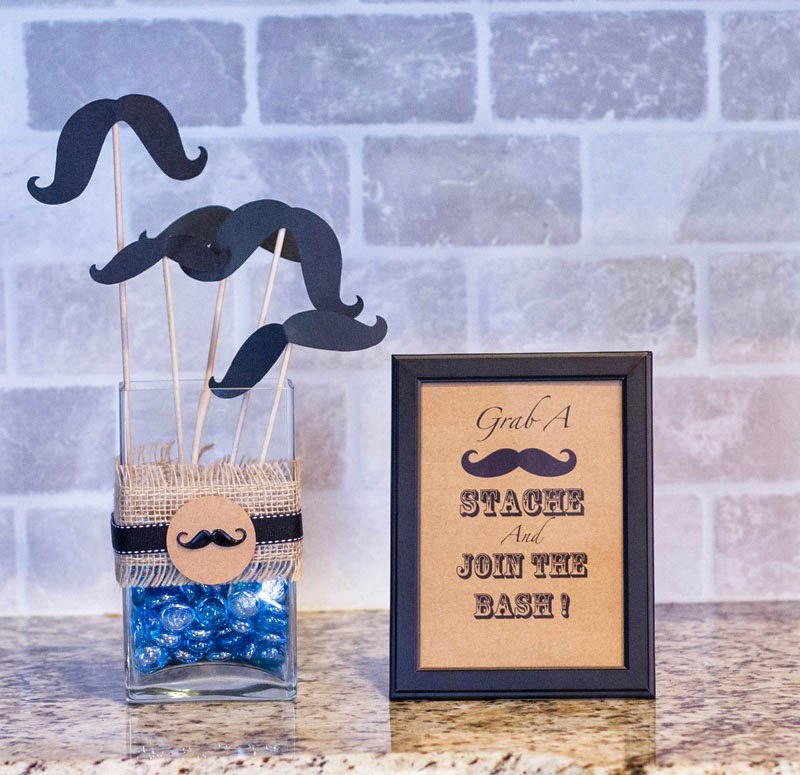 Mustache party supplies and decorating items are easy to find and can be used in a variety of creative ways. 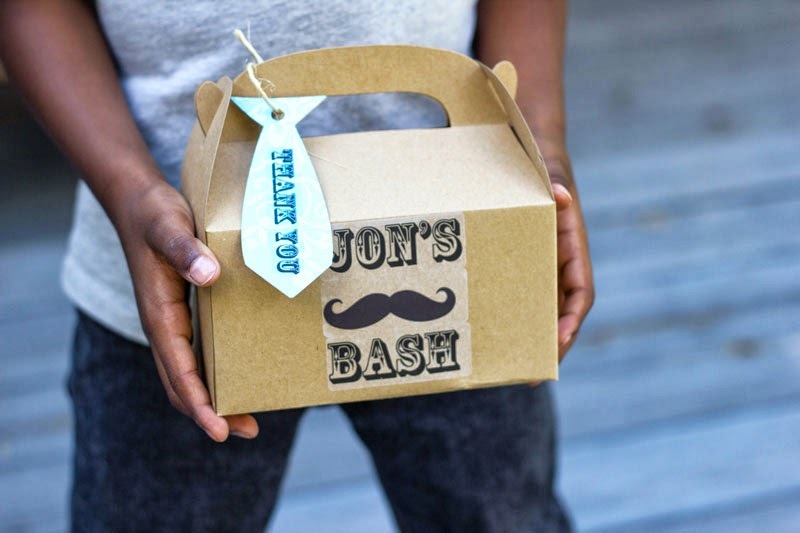 I use a mustache sandwich cutter and food picks for my son’s lunch. 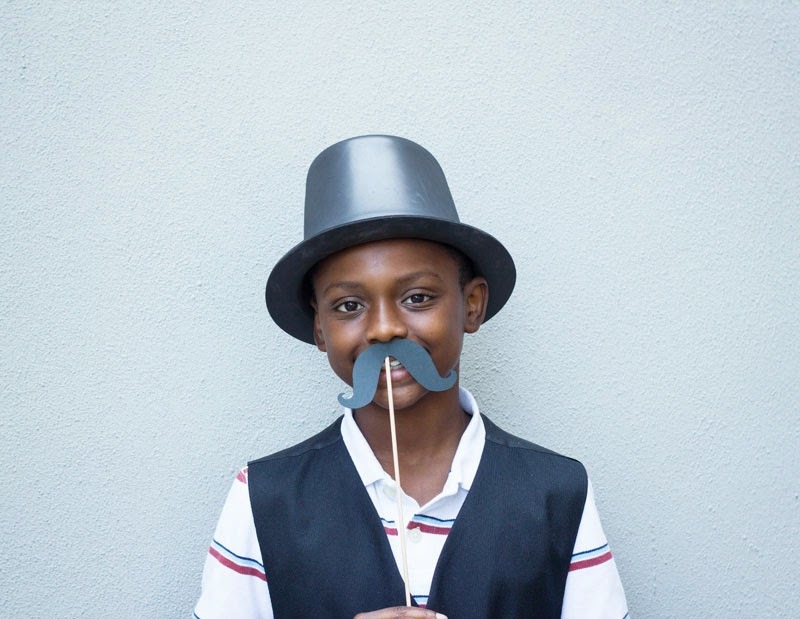 He thinks they are cool and fun to use. 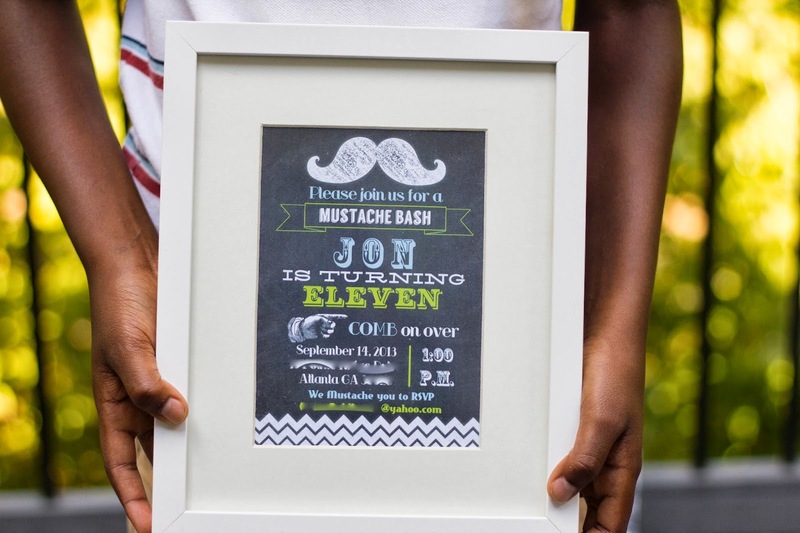 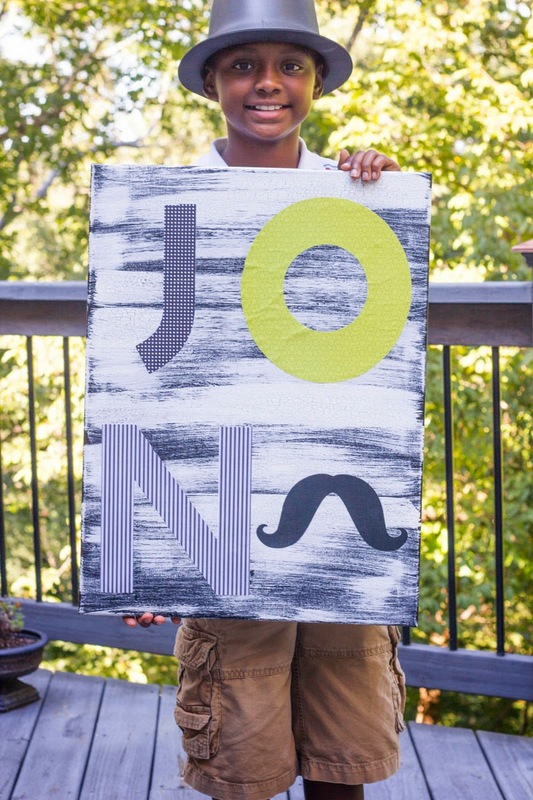 I recently had the exciting opportunity to plan a cool mustache bash for an eleven year old. 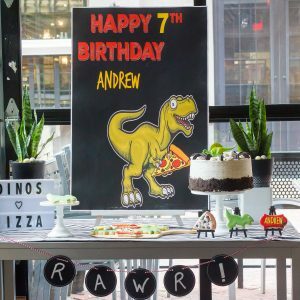 To keep it mature to match the birthday boy’s personality, a black and white color scheme with pops of green and blue was chosen. 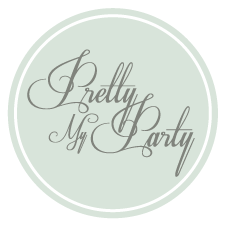 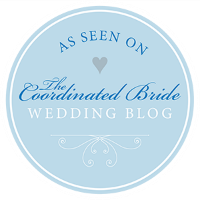 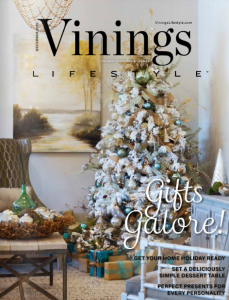 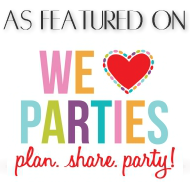 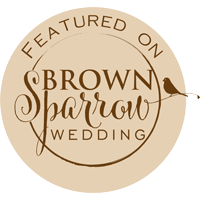 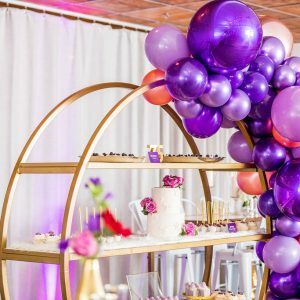 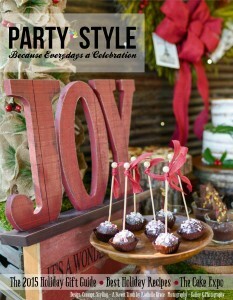 More party details and where to find products used in this design can be found at the end of the post. 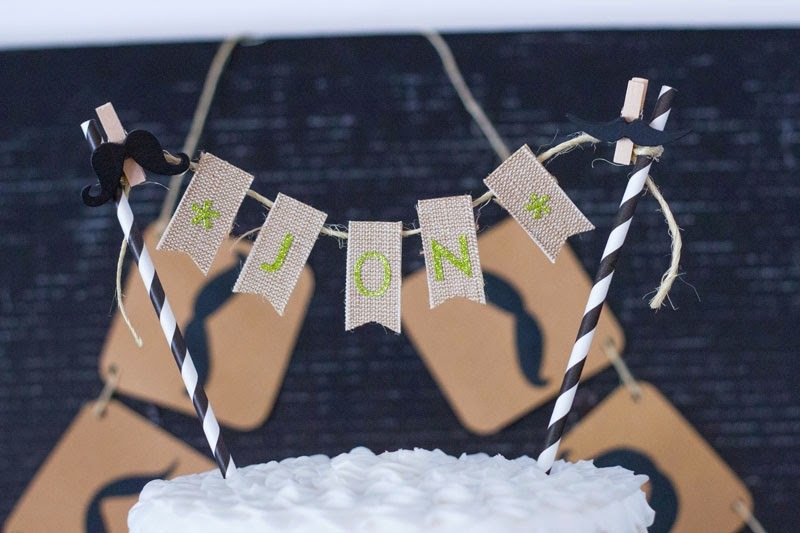 For the decorations, a rag banner was made with different patterned fabrics and varying textured ribbons. 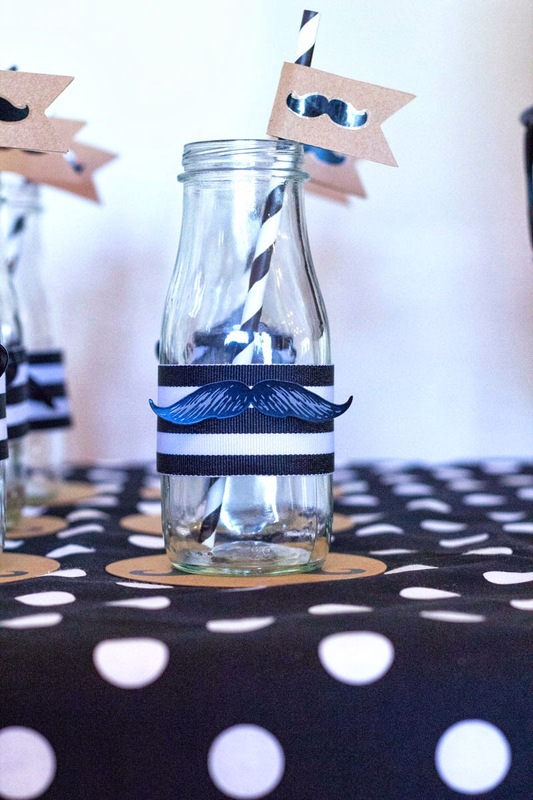 The bold black and white runner helped keep the look clean and mature. 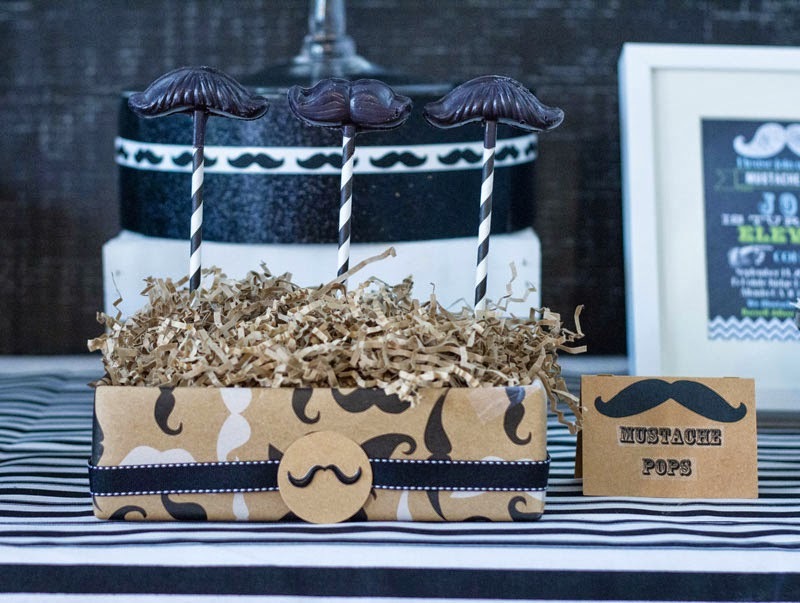 Mustache wrapping paper was used to display the mustache pops and decorate the letter J. 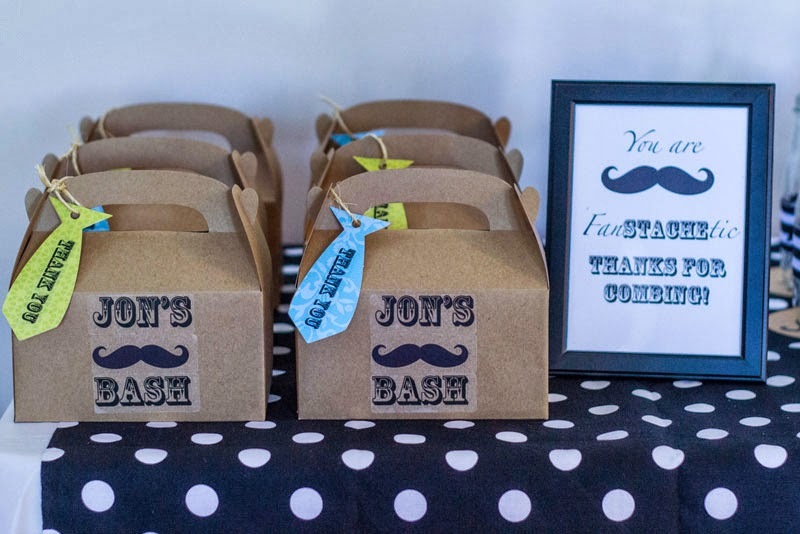 As I do with all my parties, I created a theme specific personal item that can be used and displayed after the party is over. 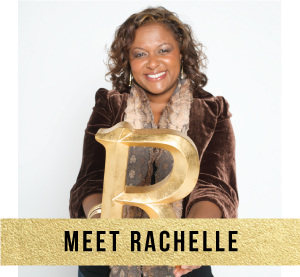 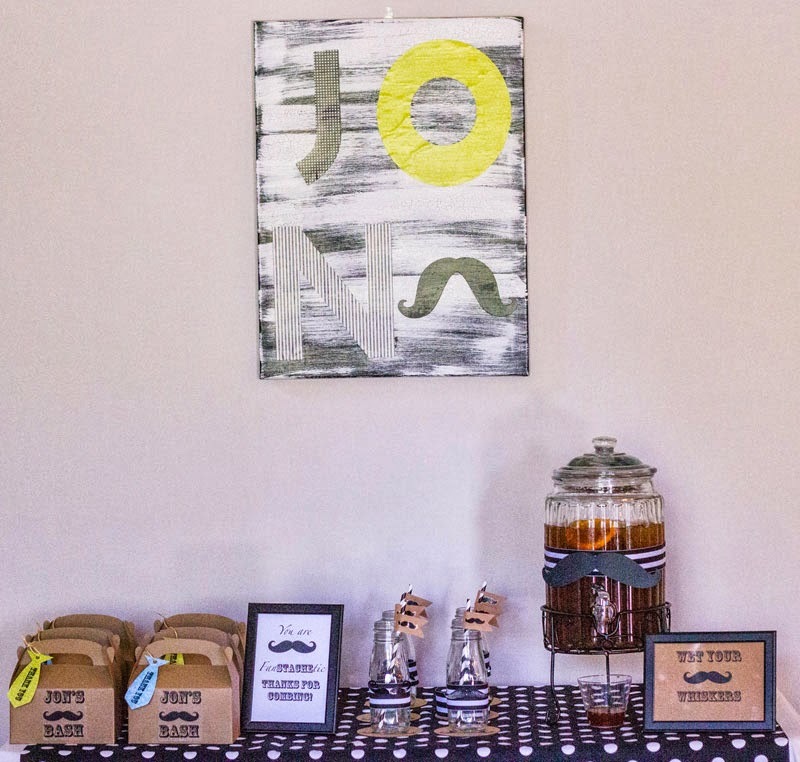 For this party, a painting was created incorporating the honoree’s name and mustache. 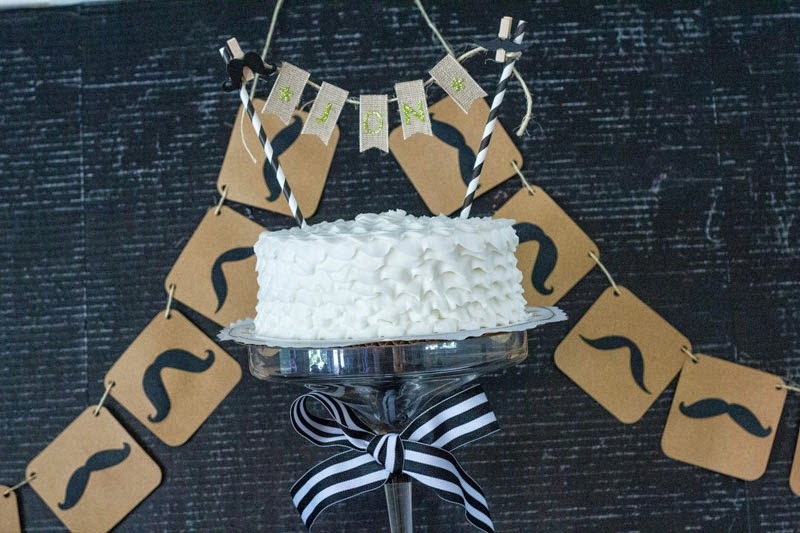 For the cake topper, the mustache clips and stripped straws were use to decorate the cake. 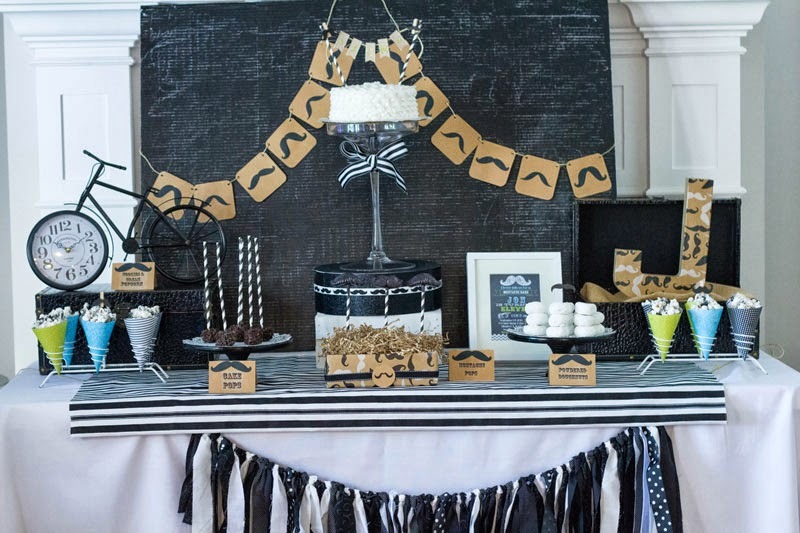 All the food choices were kept black and white to stay in theme. 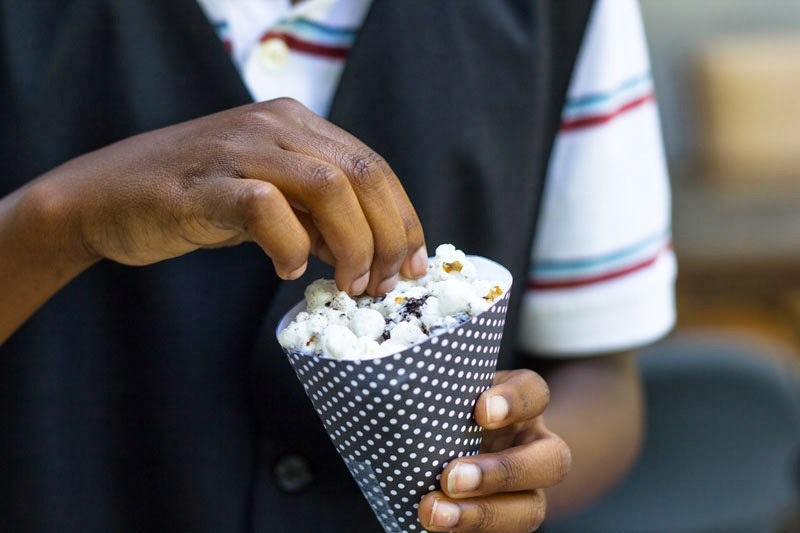 Patterned paper cones were filled with cookies and cream popcorn that were placed in ice cream cone stands. 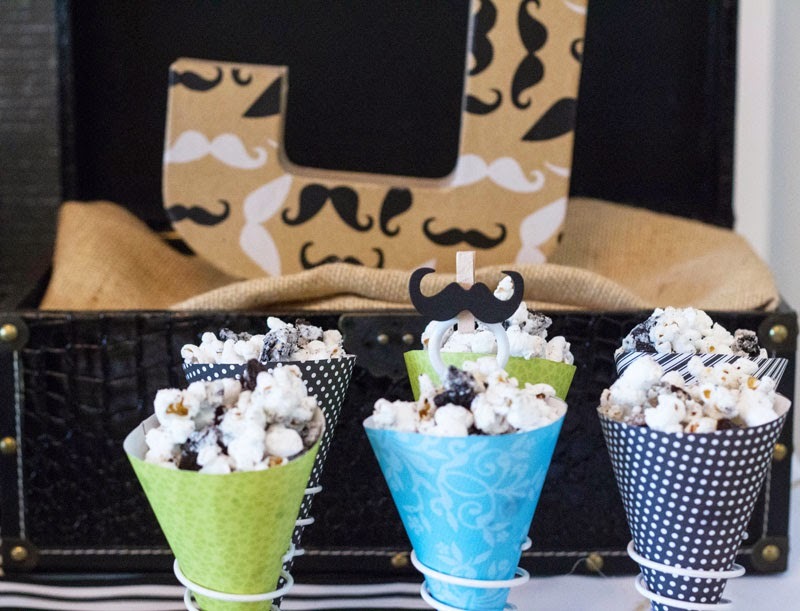 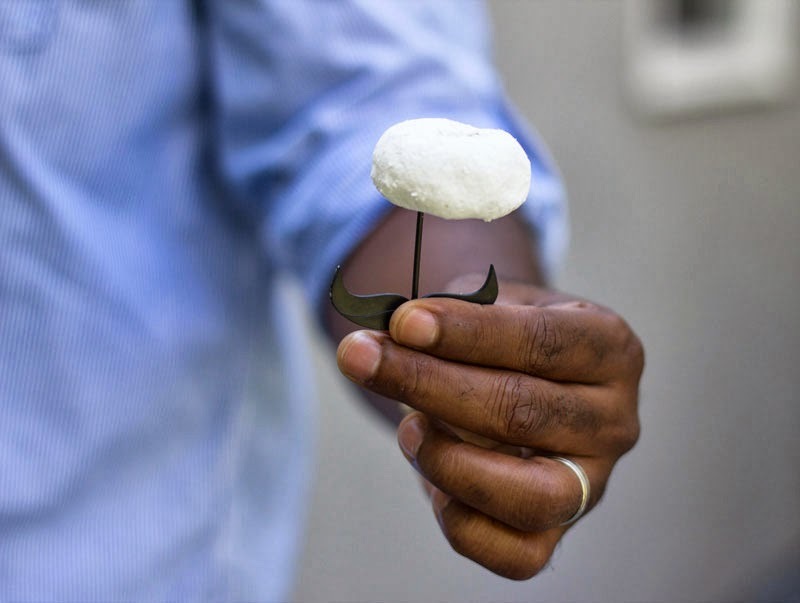 Mustache pops were made using a candy mold. 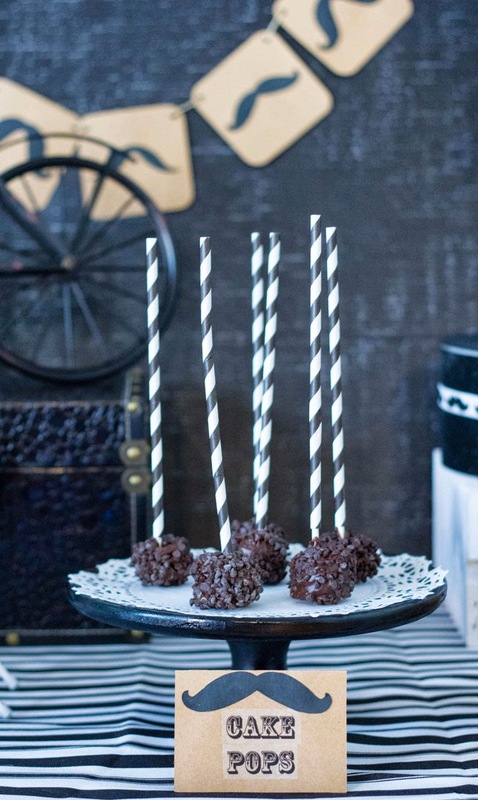 Chocolate cake pops were decorated with striped black and white straws. 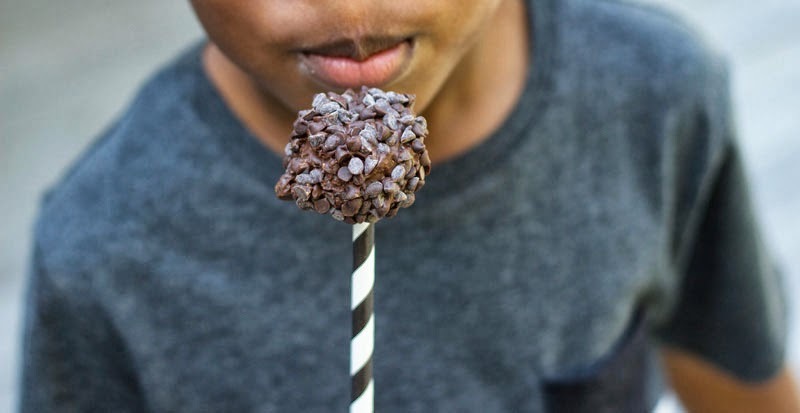 One more treat was added. 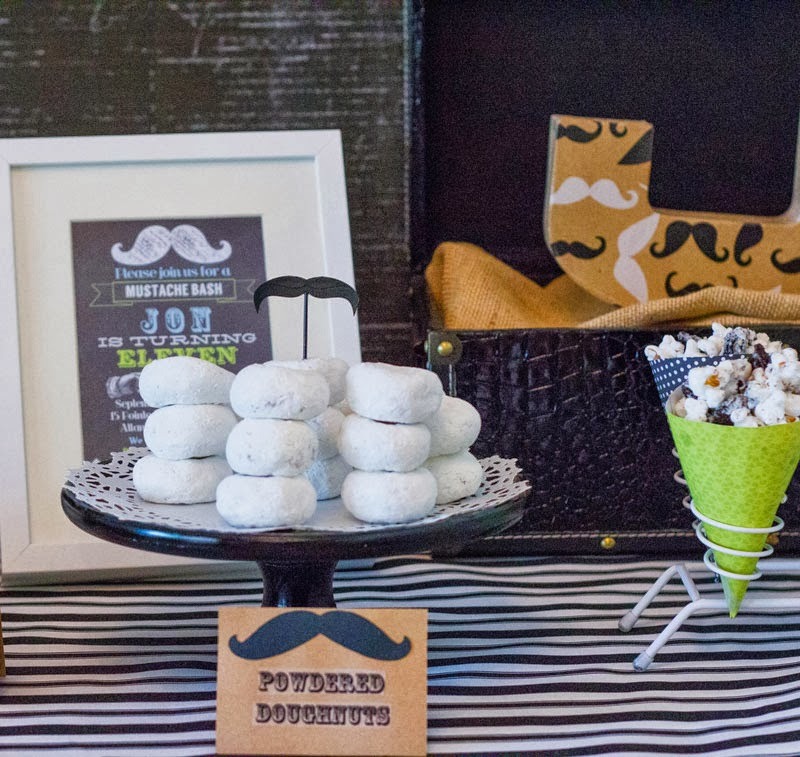 Who can resist powered doughnuts?